DMIMS Wardha Ph.D. 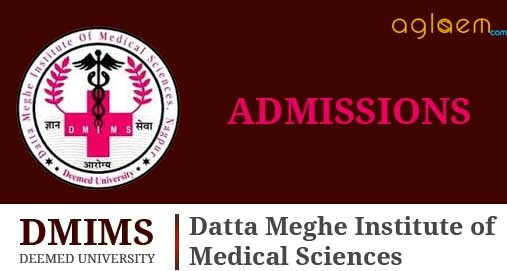 Admission 2019 is conducted by Datta Meghe Institute of Medical Science, Wardha. The application form has been made available on the official website. Those candidates who want to get admission in the DMIMS can apply before 08th January 2019. The written exam was held on 20 January 2019. Latest: List of Eligible Candidate for Personal Interview of AIPhD CET-2019 has been published, check it through the link provided below. The DMIMS(DU) AICET-Ph.D-2018 was conducted on Sunday 20 January 2019. Applications were invited from the eligible candidates for the admission to under mentioned doctoral programmes.Candidate can get all information about DMIMS Wardha on this page. Schedule for DMIMS Wardha Ph.D. Admission 2019 is given below. Eligible candidates can submit their application form on or before the scheduled date. The direct link to download the application form is given below. Any candidate who has passed Post Graduate Degree (Master’s Degree) Examination of the University or an examination recognized as equivalent thereto from any other University recognized by the Association of Indian Universities (AIU) in India or a professional degree declared equivalent to the Master’s Degree by the corresponding statutory regulatory body in the concerned / relevant subject with at least 55% marks in aggregate or its equivalent Grade Point Average (GPA). The eligibility marks of 55% (or an equivalent grade in a point scale wherever grading system is followed) and the relaxation of 5% to the categories mentioned below are permissible based only on the qualifying marks without including the grace marks procedures. Provided that the relaxation of 5% of marks from 55% to 50%, or an equivalent relaxation of grade shall be allowed for those belonging to SC/ST/VJNT(Non-creamy layer)/OBC(Non-creamy layer)/differently- abled and other categories of candidates as per the decision of the UGC from time to time, or for those who had obtained their Master’s Degree prior to 19th September, 1991. Has cleared the M.Phil Coursework of this University in the concerned / relevant subject with at least 55% marks in aggregate or its equivalent Grade Point Average (GPA) and successfully completing the M.Phil degree shall be eligible to proceed to do Research Work leading to the Ph.D degree in the same University in an Integrated Programme. A relaxation of 5% or an equivalent relaxation of grade shall be allowed for those belonging to SC/ST/VJ-NT(Noncreamy layer)/OBC(Non-creamy layer)/differently- abled and other categories of candidates as per the decision of the UGC from time to time. Provided that the candidate whose M.Phil Dissertation has been evaluated and Viva-Voce is pending may be admitted to the Ph.D programme of the same University. Has cleared Post Graduate Degree (Master’s Degree) or M.Phil Degree from a Foreign Educational Institution accredited by an Assessment & Accreditation Agency which is approved, recognised or authorised by an Authority, established or incorporated under a law in its Home Country or any other Statutory Authority in that country for the purposes of assessing, accrediting or assuring quality & standards of an Educational Institution considered equivalent to Post Graduate Degree (Master’s Degree) or M.Phil Degree of this University or any other Indian University respectively. Provided that an applicant shall be eligible for registration in Ph.D. for research either in the subject in which he / she has passed his / her Post Graduate Degree /M.Phil. Degree Examination or in the appropriate interdisciplinary area. Provided that, a candidate who has passed M.Sc. ( Life Sciences) / M. Pharm. Examination from a statutory University with 60% marks or corresponding equivalent grade shall be eligible for registration in Interdisciplinary area. 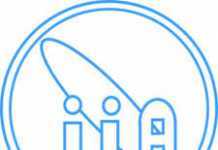 Provided that the applicant holding a qualifying degree from a Foreign University shall submit equivalence certificate from the Association of Indian Universities (AIU) in India. Provided that the applicant belonging to NRIs, Foreign Nationals and PIOs, who have obtained Master’s Degree from Foreign Universities shall have to qualify for English language proficiency test as prescribed by the University. Provided that for selection of candidates a weightage of 70% to the entrance test & 30% to the performance in the Interview/Viva Voce shall be given. The application forms can be down loaded from our website: – www.dmimsu.edu.in.